We offer year-round, pet-friendly camping in 75 beautiful sites ringing the lake as well as 2 large group areas. 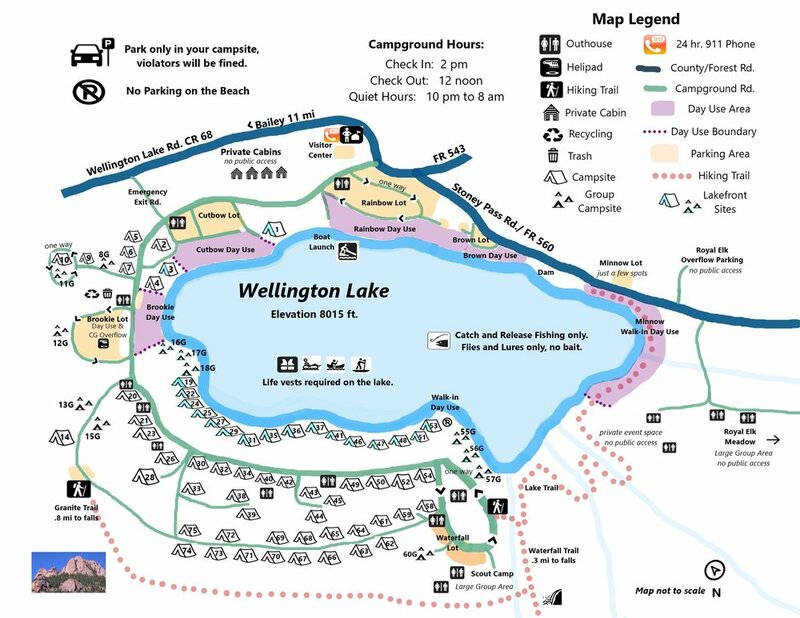 The general campground layout can be seen on the map at the bottom of the page. Reservations can be made online 3 months in advance of your check in date, or booked early through our advanced booking service, additional info is below. Photos and descriptions of every campsite are available on the Book Camping Page. Each standard site can accommodate a maximum of 6 people and 2 vehicles; we do not set a limit on tents. Towed trailers do not count towards the vehicle limit. All standard sites have one picnic table and a metal fire ring. Click the link for Prices and Policies. Lakefront Sites are perched on the edge of the water and offer the most convenient lake access. Hillside Sites often have a view of the lake and are just a short walk from the water. Mountain Road Sites, situated on the dirt road above the Hillside sites, have the most forest ambiance and are still just a short stroll to the beach. These sites are best suited for tent campers as the road may be too steep and bumpy for hauling in trailers. Each of the 12 group sites in the campground can accommodate up to 15 people and 5 vehicles; we do not set a limit on tents. Towed trailers do not count towards the vehicle limit. 6 of the group sites are lakefront and 6 are hillside. These sites are all spacious, relatively flat, and a great option for parties traveling with large RVs and trailers. 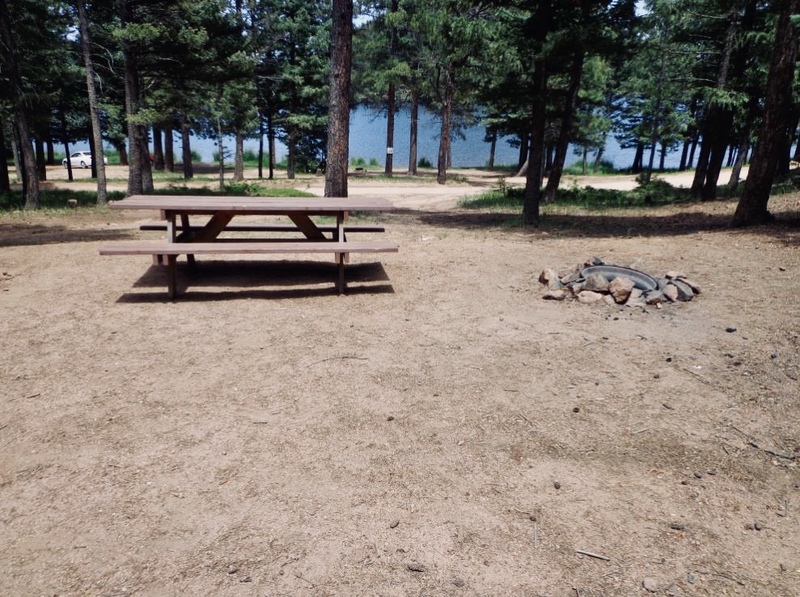 Each group site has 3 picnic tables and a communal fire pit. Booking adjacent campsites can be a good option for groups of 60 or fewer people. Larger groups are best served by booking a Large Group Area like the Scout Camp. All roads on the Wellington property are dirt and can be bumpy, steep, and narrow. Please keep this in mind when planning your trip and call us if you need specific information about road conditions or campsites. 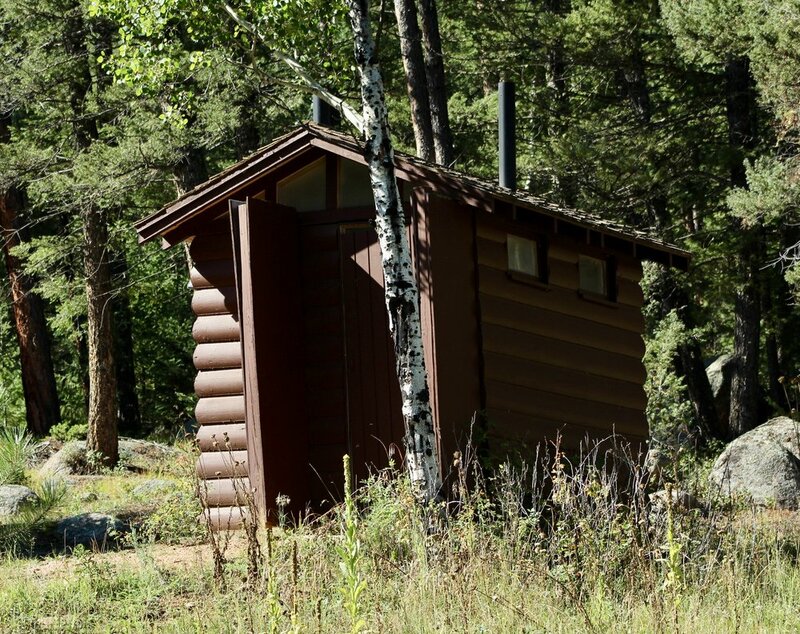 Each site is within walking distance to a rustic vault toilet. There are no showers in the campground, but a dip in the lake can feel just as refreshing! There is no drinking water available; you must bring in all the drinking water you will require for your stay. Many sites can fit RVs and trailers, but we do not have any hookups. On the Book Camping Page you can filter sites based on what size camper they can accommodate. Generators are not permitted between 10 pm and 8 am. We do not have a dump station. Sites can be reserved on the BOOK CAMPING page up to 3 months in advance of the check-in date at midnight MST. Sites book up very quickly for summer weekends. 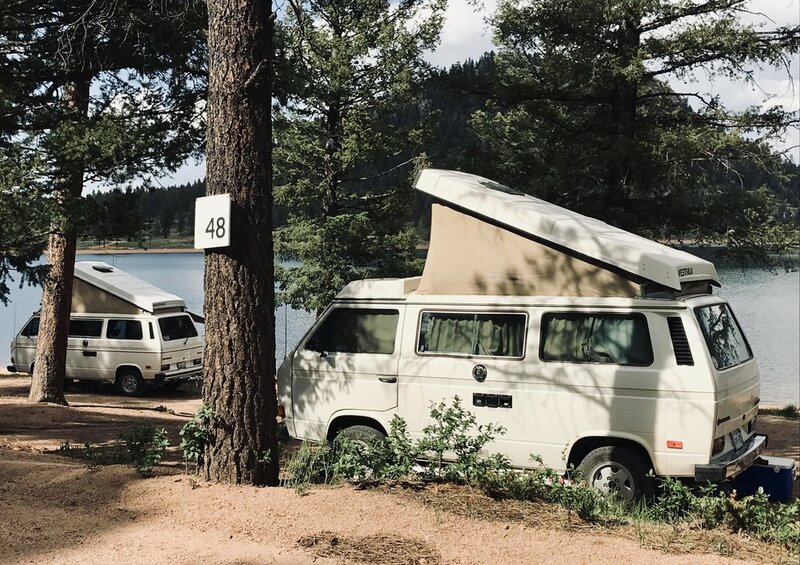 Camping may be booked more than 3 months out for additional fee of $100 per regular site and $200 per group site through our advanced booking service. Complete the form below if you are interested in booking a campsite more than 3 months in advance.